We sure hope handsome, scruffy bike guy isn’t en route to the movies, because he’ll have to ditch his pricey specs before the movie starts. In “who hates Google Glass owners today?” news, the Motion Picture Association of America and the National Association of Theatre Owners have updated their joint anti-piracy policy to add wearable electronics devices — but really just Google Glass — to the list of verboten items to operate while enjoying that movie you should have just waited to watch on your TV. Those who insist on looking like background players from ’90s sci-fi shows by continuing to wear their Google Glasses may be asked to leave the theater. This isn’t a big deal right now, when Google Glass is still relatively new and clunky. 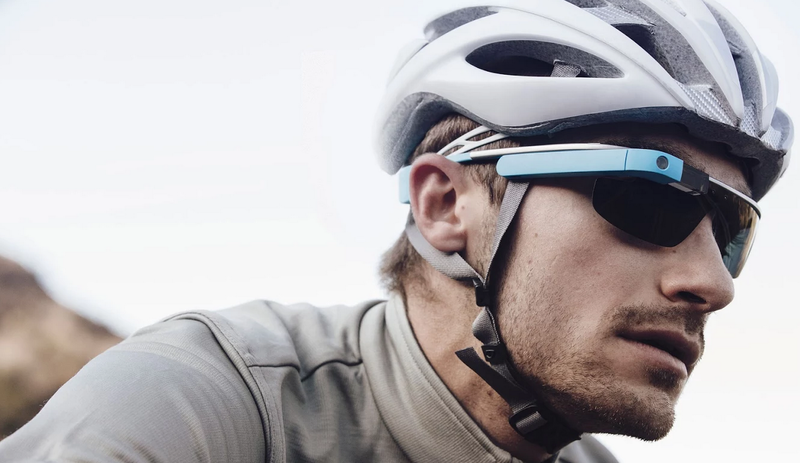 Most users who need prescription lenses either haven’t integrated them into the Google Glass or still have glasses with which they can’t record a movie. But at some point — whether it’s Google Glass or some device still to come — the integration of computer and glasses will become more seamless, to the point where some people will choose to use the device as their primary eyewear. At that point, do theaters kick people out just for wearing glasses that could shoot video?